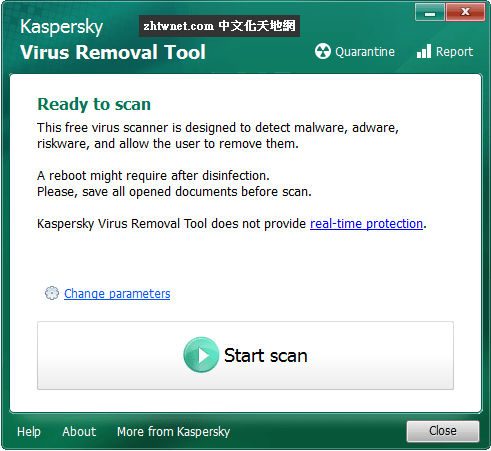 The Virus Removal Tool is a portable app designed to scan and disinfect an infected computer from viruses and other types of malicious programs. It can be installed on infected computers, even in Safe Mode, and it can automatically remove viruses, Trojans, rootkits, adware or spyware. The Tool is a stand-alone niche tool and not a complete anti-virus package. It is a stand-alone niche tool and not a complete anti-virus package.